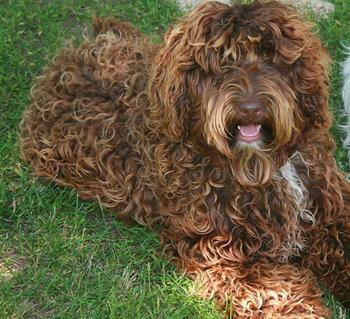 Beauty is an Australian labradoodle out of Mya and Rocko. Our Beauty is as laid back and quiet and sweet as you could ever want, but playful too. She’s a real cuddle-bug!